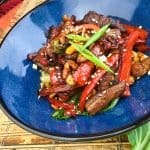 This is another favorite in my keto family to satisfy our Chinese food cravings. 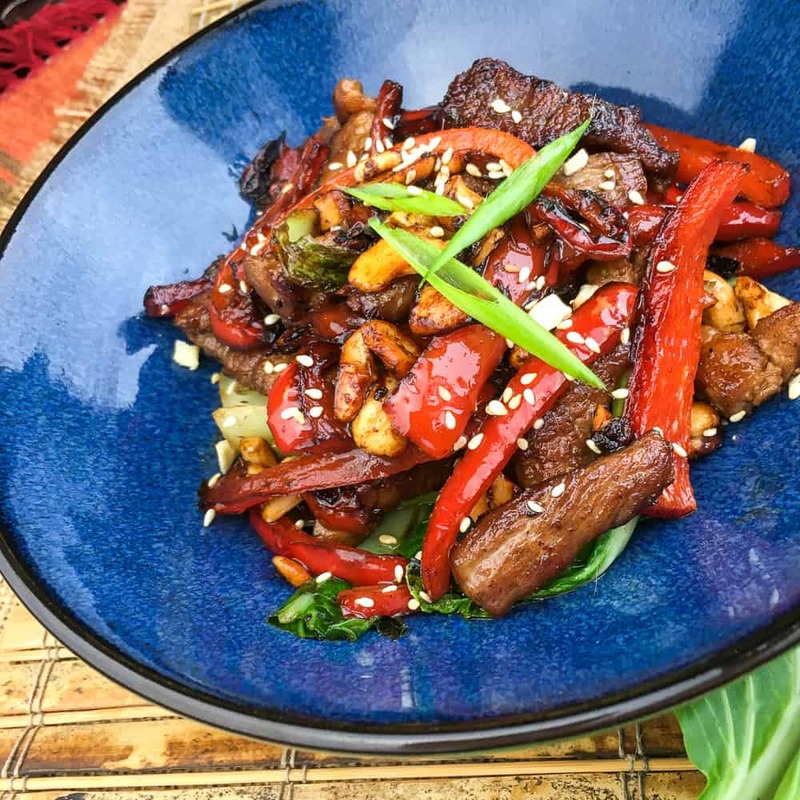 This Keto Pork Stir Fry recipe will no doubt earn a spot on your keto dinner menu often. It’s also great for meal prep to take to lunch or have on days when cooking is just not an option. Keeping things really simple on the keto diet helps me to stay on track. I love this recipe because of how easy it is to throw together. It’s also a great one for using up any veggies you have laying around that needs to be cooked up. With only 5g net carbs per serving, this filling keto entree leaves enough room in your keto macros to have something sweet and decadent for dessert. 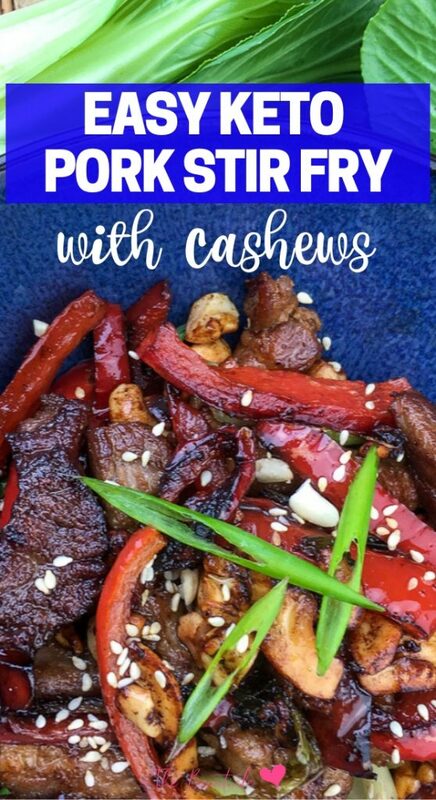 Of course, you can use any nut you prefer in this recipe but cashews give it a distinct Asian flavor that’s very satisfying. Slivered almonds or peanuts would work well with this dish as well. Serve it with cauliflower rice to complete the Asian flare. A great Asian-inspired keto recipe that’s easy to make and can be prepped ahead of time. Add bell pepper, green onion, ginger, cashews and garlic powder. Season with salt and black pepper, to taste. Stir fry the veggies until they become crisp-tender, around 2-3 minutes. Add the bok choy, sesame oil, and tamari. Continue to stir fry until the bok choy wilts and the other ingredients are coated, approximately 1-2 minutes.